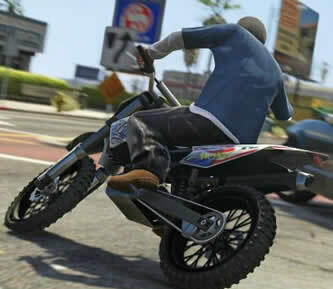 Grand Theft Auto 5 - What to expect from us. Rockstar are the greatest video game developers on the planet. What's next for them? The next game could be Judas. JudasCheats.com is suggesting that it could be the big announcement by Rockstar at E3 2016. We still love GTA V, but a new game from Rockstar would be incredible too! It's time for GTA 5 Cheats PC. We have full cheat listings and how to enter them easy and fast! Check our dedicated PC CHEATS page here for all the details. If you need cheats for PS4 and Xbox One, we're the only source you need! Check our links and enjoy easy to read icon button code cheats. Need details on the next gen consoles version of GTA V? PS4, Xbox One and PC full details here. Every cheat has just been found for GTA 5! Yes, that is including weapons and the popular INVINCIBILITY cheat. There are various spawn vehicle codes in addition to some very cool exploding type cheats. We just don't know what else Rockstar has in Grand Theft Auto 5 regarding cheat codes. Are there going to be more? We update with all the new cheats, so check back or follow us on twitter for breaking news. That said, there are many enjoyable cheats to use right now. We make it easy for you. We provide the button graphics instead of the eye straining text for the button codes. Check out our World's Largest GTA 5 Tips and Tricks Collection here and also find all the other glitches, guides and cool secrets. Thanks for visiting! Although the Xbox One and Xbox 360 button codes should be identical, we've put up a brand new page for Xbox One to make things more specific to each console. Everyone's favorite cheat has been found! Invincibility - Only lasts 5 minutes at a time! Does not protect your vehicle or plane! Super Jump - When activated, you will not take damage when falling to the ground! So far 28 Cheats for GTA V are here! Updated by the hour!! We have everthing you need! Check our cheats page for all known GTA V cheats so far. We have an full achievements list, and trophies list. Spoiler alert, but you can check our growing collection of GTA 5 tips and tricks. The internet is bursting with leaks and especially regarding what appear to be real deal cheats. What we can say from early rumors is that they are button codes and cannot be saved in the phone like in GTA 4. So each time you want to use one, you must do it manually. Of course this is early and who really knows. We are seeing up to around 15 or 20 cheats that players have somehow been able to test and confirm. We can't confirm this personally, but there is quite a lot of evidence out there right now and it's growing by the hour. So to answer the question on the minds of many many GTA fans, we are pretty sure there is proof out there that cheats are part of the GTA V experience!! the internet is blowing up with leaks and gameplay footage. 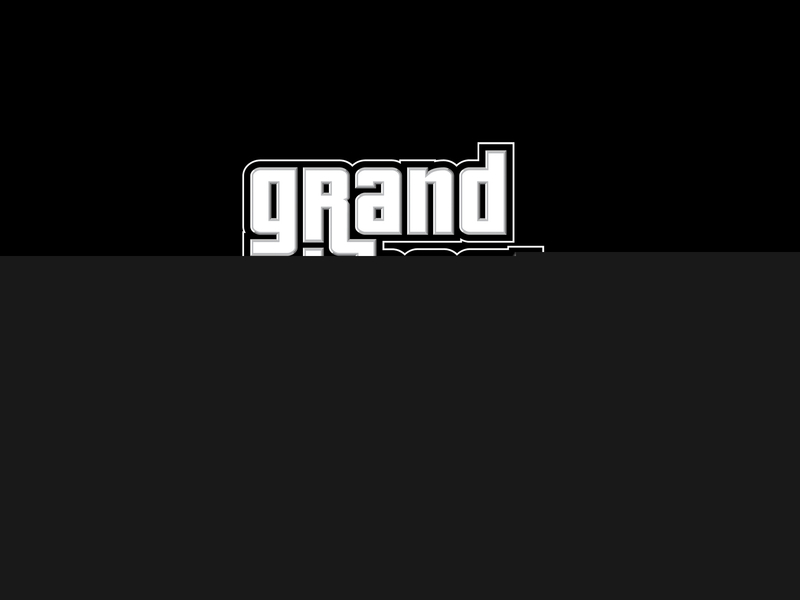 If you care to see various leaks, including images and gameplay videos I recommend two main source: Reddit Grand Theft Auto V Channel and N4G GTA V channel. Of course **spoiler alert** going into those places! Good luck if you want to get GTA news that is spoiler free right now. read the world's first hands-on review of GTA 5. See full article on IGN here. Part two of the preview has been posted on IGN here. The big new official game trailer has just been released by Rockstar! See it here. Rockstar just announced many of the bonus items and features you get if you buy the Special Edition or Collector's Edition of the game. Full details here. with the ability to download (can't play until September 17th) it appears hackers have other plans. Will details of GTA V be leaked because of hackers having access? Check out this story here. 3 new parts of the Los Santos Travelogue have been unlocked! See them here. spoiler alert! See the GTA 5 achievements list here. brand new official video! Learn all about GTA Online with the new trailer here. Thursday August 15, we are getting a new gameplay trailer from Rockstar! In addition, we will also get media previews! Details here. 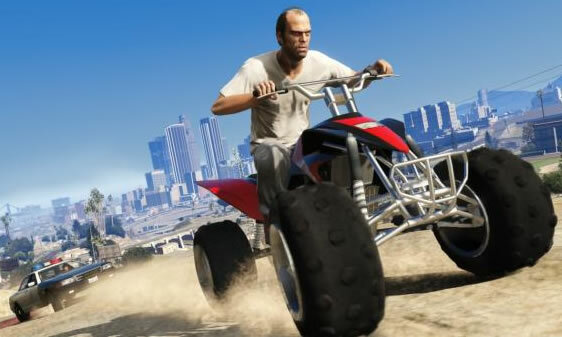 Any day now we're expecting to see Rockstar unveil Grand Theft Auto online. Is it GTA Online? All we can say is that it's going to be a big part of the GTA V experience regarding multiplayer. Given the leadup to the release date, surely this is the week (August 12) that they make the announcement/unveil. Update: It's true and the big unveil comes this Thursday. Details here. Amazon.com now has the official strategy guide at a big discounted price. Pre order at the cheap price while you can! expect an amazing August 2013 for news, screenshots, gameplay videos and more. no official word on a PC, Xbox One or PS4 version. A pre order page for a PC version of GTA V shows up on Amazon Germany! Lots of new gameplay and customization details in our news section! New official wallpapers! New Q&A from Rockstar including multiplayer! Check out the digital copy of Game Informer magazine for the best preview released so far. Read the latest release date info on dedicated release date pageand also see our summary page of current official details here. We've also just launched new details on how you can pre order GTA 5 here. Our focus and goal is to be your favorite GTA 5 cheats resource. The game isn't out yet, but when it comes time expect hints, glitches, easter eggs, tips, tricks and everything else that will maximize your enjoyment of GTA V.
It's no secret. When you buy a Grand Theft Auto game, one of the first things that you will be thinking about is what part of the maps can you explore. This new game is going to have even more landscape and cities to explore. That takes time. Doesn't it just makes life easier using cheats? There is no shame in that at all! The developers put tons into the GTA games and honestly how many hours do you have to figure everything out on your own? Personally I would just rather see what the game has to offer and if reading a couple of hints or tips is what it takes, then I'm fine with it. Even after you think you've discovered everything there is to discover, GTA cheats are famous for changing the game and making it new and fresh again. This newest game will be no different. The next game will be even deeper and even larger environments. That means you will likely want GTA 5 cheats so that you get ever ounce of replay value out of your video game purchase. With the upcoming release of GTA V in the coming year, let us also be your source for all things. Things should start ramping up with weekly screenshots and video teasers shortly. When content hits the web, we will be adding some A+ quality content to get you even more excited about the release. Aside from helping you explore GTA V more, our goal here at grandtheftautoforever.com is to help you play better. Whether you are playing Xbox 360, Playstation 3, or PC, we will provide you with the resources. We don't yet know what Rockstar is planning in terms of competitive play or co-operative play modes. If there is a chance to add content to our site that will help you play the game better, we will have it. Since there is multiplayer in GTA V, we will have you covered. How about single player? Yes, we're here to help you in the solo aspects of the game. Being more than just cheats is important so single player walkthroughs and non cheating tips and tricks will not be left off the site. For the non cheaters? Don't worry we will have content useful to use also. The depth of our content won't be just limited to what we can provide. There are also many other websites that will feature various GTA 5 cheats. We will post useful links to other websites that will be useful to you. We can't do it all so it's always good to visit other Grand Theft Auto 5 community websites. I will give you the links to the best of the best cheat websites. So why name the site GrandTheftAutoForever.com? Well few video games are good enough to establish themselves as a household name. GTA is one of those game. Original gameplay and huge interactive environments as never before seen in video games. Xbox 360 and Playstation 3 aka PS3 hardware has pushed the GTA series even further. Make no question about it. 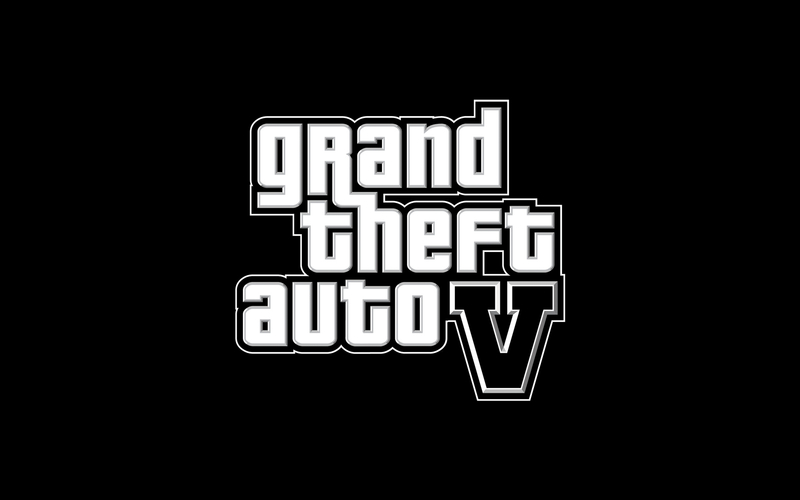 GTA is forever and GTA V is going to be with us very soon! 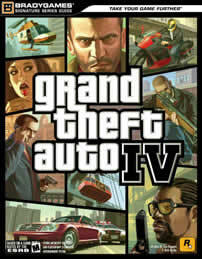 Right now GTA 4 is out. I haven't forgotten that fact. 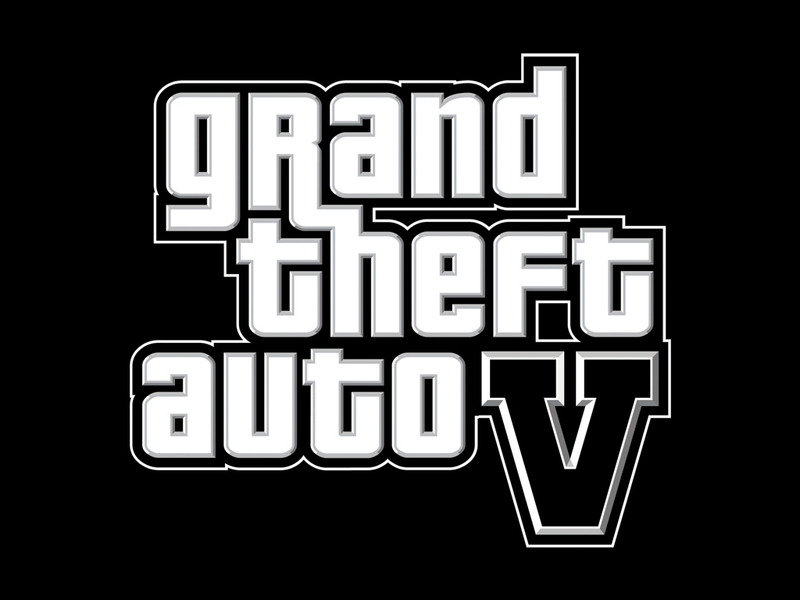 We have added various cheats, links and other resources if you're currently playing Grand Theft Auto 4. I have done the homework and researched the best GTA 4 cheat databases and websites so that you can save time finding them. I have them all in one convenient place. So please, be patient. There is no other choice afterall. I'm sure at this late date, fresh GTA 5 content is upcoming. We will post the top GTA cheats sources so you can unlock everything in the previous games if you haven't done so already. And please remember. If there is a GTA 5 rumour or release date, check here first. We will have it first so please bookmark us and visit again soon! New! Obviously the game is officially coming September 17, 2013. But what more do we know? 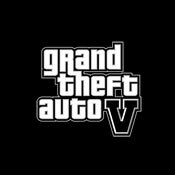 The fact is you will be able to control 3 different protagonists in GTA V. That's pretty impressive and really opens this up to many different possibilities for gameplay. It's going to be incredible! 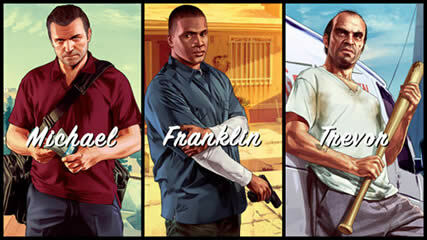 The characters include: Michael (early 40's) who lives in Rockford Hills, Trevor who lives in Blaine Country, and Franklin who lives in Vespucci Beach. Rockstar is ensuring that each character is unique and that each one will give a different experience when playing. Details are coming out that each player will have their own skills and activities. That means for example that one character can fly an aircraft but the other characters cannot. It's not clear which character can do what, but expected unique experiences depending on who you're playing at that moment in the game. Other characters who are friends of the main protagonists include: Lamar, Amanda (likely the lady seen in the official Rockstar image), Ron and Jimmy. 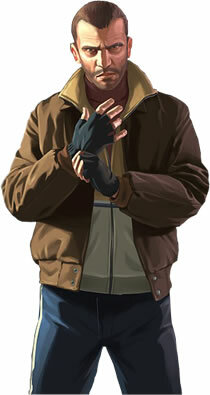 There will also be some characters from old GTA games, but only from GTA 4 and Episodes from Liberty City. 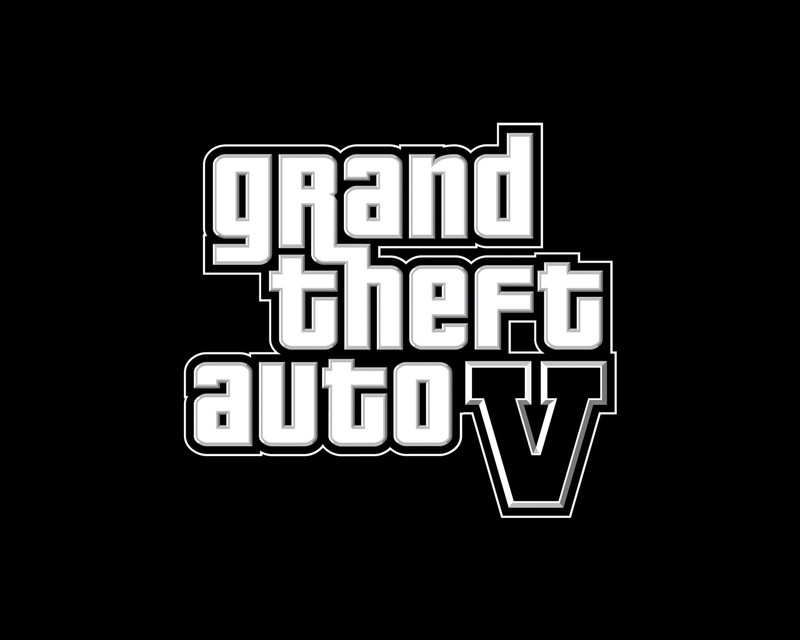 Rockstar has confirmed that Niko Bellic, CJ and Tommy Vercetti will not be in this latest game. Beyond playing one of three different characters, there are a host of new fun minigames that you can partake in. These activities include base jumping, tennis, full-on golf course, yoga, triathlons, jet skiing and more. 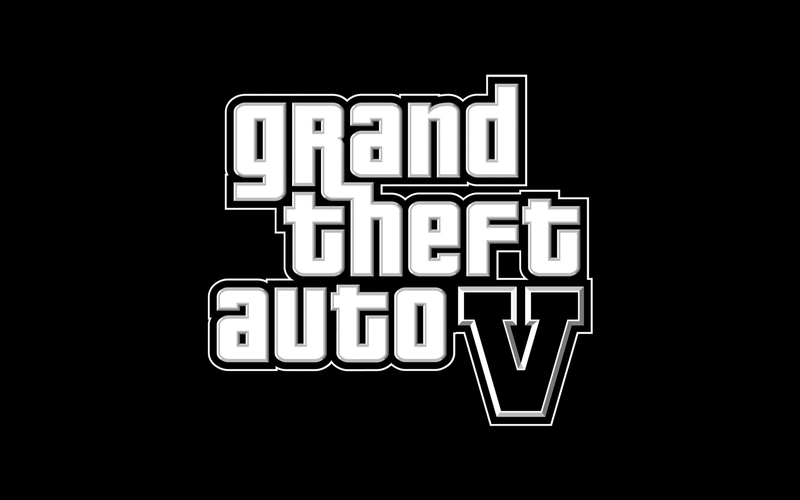 Grand Theft Auto 5 is based in Los Santos and it's an ambitious and very massive world that the game will take place in. 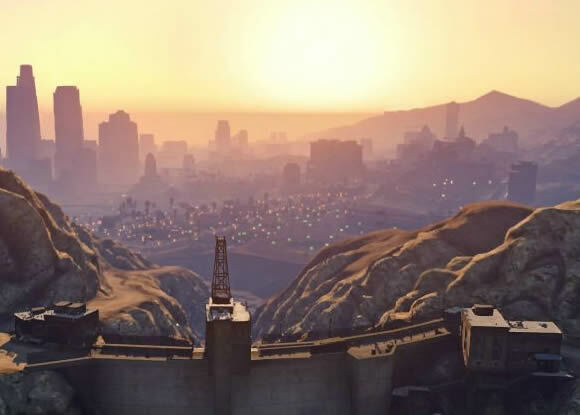 If you've been following the rumors, it's been speculated about the various different sections of Los Santos that you can explore. 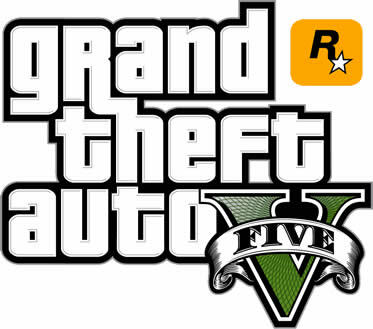 As Rockstar confirms, it's equal to the size of GTA 4, San Andreas and Red Dead Redemption combines. Yep, that's pretty darn massive I'd say. Check out more of the recent news from GTA V from Kotaku. Details about a GTA V mission: As we expected, through various interviews with Rockstar we're learning more and more. It's clear that missions and heists will be a big part of this game. In those situations you will be able to work as one of the three protagonists (Michael, Trevor, Franklin) and be able to switch between them during the missions or heists. We are just learning from a Guardian.co.uk interview about on of the missions. You will see right now around the internet various screenshots which in fact show aspects of this mission. We don't know the name of the mission, but the deal is that you're working for the FIB and your task is to grab a hostage who is being held by another government agency. 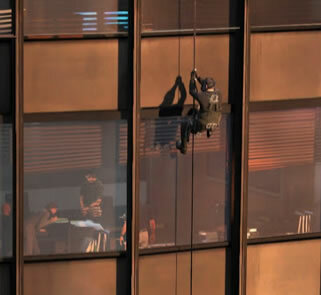 There is a helicopter in the mission which lands on top of a building and one of the characters (Michael) rappels down the side of the building to smash a window and grab the hostage and return to the helicopter on top of the building. Within this mission, Michael is doing the smash and grab, Trevor is piloting the helicopter and Franklin is on a roof top with a sniper rifle. You get to choose which protagonist you play. You don't even have to switch if you don't want to. Amazing! I can see wanting to do missions multiple times! Talk about a lot of gameplay replay value. Enjoy this basic but cool GTA 5 Wallpaper Screenshot! More coming soon! The fact that GTA strategy guides are best sellers should tell you something. There is a lot to explorer in Grand Theft Auto games and it's ok to ask for help. Buy a guide, read our site, find cheats online. It's about enjoying the game more!